I teach beginner through college & adult. Shannon delivers an exceptional lesson experience and ranks in the top 15% of our teachers nationwide. Shannon is an active musician, who has been featured as a soloist, and in the flute and woodwind sections with various orchestras, chamber ensembles, opera orchestras and musical theatre within the United States, Italy, and Mexico. She is presently Principal Flute of the Baytown Symphony, Director of the Da Capo Chamber Ensembles, and is a substitute musician with the Orquesta Sinfnica de Monterrey, Symphony of Southeast Texas, and Opera in the Heights. Owner / professor / musician / fitness-athletic-nutritional trainer/coach. teach studio woodwind lessons, fundamentals of music, class piano, music appreciation, introduction to music literature, woodwind ensemble, chamber music workshop, traditional and online course formats. created online courses / format. Adjunct Faculty Committee Member. College Music Society Campus Representative. My position was deleted due to financial cutbacks. teach studio woodwind lessons, fundamentals of music, music appreciation, introduction to music literature, woodwind ensemble. 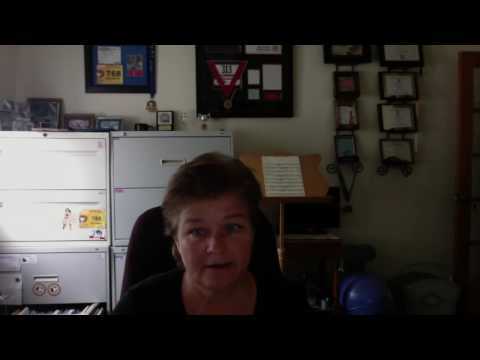 teach studio flute and oboe lessons. The Exercise Therapy Certification specializes in clients discharged from prescriptive medical care with the need to undergo a supervised fitness therapy program, specifically designed around their condition. certified with multiple institutions since 1980. Red Cross, Army, ASHI. Red Cross, Army, ASHI, ISSA. Houston Racing Triathlon Club “HRTC” is Houston’s oldest and largest Triathlon Club. HRTC serves to educate the beginner triathlete while providing a substantial social and training network for experienced triathletes. We hold monthly meetings, offer an annual sprint distance triathlon and support members at various local triathlons by providing a Club Tent for pre and post race relaxation and refreshments. BAM! is a non-profit organization 501(c)(3) triathlon club in the Clear Lake and Galveston Bay area of Houston, Texas. We welcome triathletes, duathletes, aquabikers, and fitness enthusiasts of all shapes, sizes, and abilities. If you are a complete beginner, we have a place for YOU! If you are an experienced racer or serious age group competitor, we have a place and a group for YOU. Whether you are looking to complete your first sprint distance event or are training for a full Ironman event, you will find a home here. We strive to make multisport training a non-intimidating experience. We want to enjoy every minute of time we spend together. Lake Charles Triathletes are dedicated to helping beginner traithletes in southwest Louisiana. Our T-gator race series has helped many first time racers learn and perfect the sport of triathlon. The purpose and goal of the Houston Flute Club is to cultivate, promote, sponsor, and develop among its members and the general public the appreciation of the flute and flute music through performance, education, and exposure to all varieties of flute-related activities, while providing an encouraging environment for flutists of every level. A little taste of Piazzola. A great way to start the week. Who doesn't love a little bit of Faure to begin the weekend. 2018 ITU World Multi-sport Championships, Team USA Group photo. Odense - Middlefart, Denmark. July 6th - 14th, 2018. Very happy with the teacher! Very skillful teacher and accommodating. Ms Shannon has been very accommodating with instruction, since I have some physical challenges. She finds new and creative ways to make things work for me. I am so lucky to have found her. She's an imaging teacher. Coach Shannon is very friendly, helpful, and knowledgeable. I have gotten both stronger and faster! I even placed 2nd in my age group at my last race! She definitely knows her stuff! It was just my first lesson but I am very pleased. I have known Shannon for years now: among many talents she has, Shannon is a super positive person and it makes lessons with her fun and enjoyable. She is very attentive in details and is always very helpful, trying to find the best solution. My daughter shared with me that her lesson went well and she was able to accomplish a lot. Shannon has been great. She is willing to work with us on our crazy schedule and she keeps in touch with me which is very much appreciated. Shannon is my personal trainer and running coach. She adapts to my body requirements as needed. I'm running better, losing weight, eating better, etc. She's amazing. Results are great! I would recommend her to anyone. Love her! Shannon has been great to work with and gears lessons to my learning style and abilities. Shannon is very thorough explaining the music and clear in her expectations. We plan to stay with her for long term. This was our first lesson and Shannon did a great job assessing my son's needs and teach him in a manner he could relate. I couldn't have asked for a nicer teacher. The first 15 minutes Shannon helped me get my Skype working right when I thought it was. I liked the patience she had trying to figure out my problem with Skype so I'm sure she will be the same after hearing more of the off tune sax I have :). Thanks Shannon! Shannon is great. Friendly, and knowledgable. I am looking forward to our future lessons. Im enjoying my lessons with Shannon and Im looking forward to continuing. I think with her I will continue to get better. Shannon is very experienced and very patient. I looking forward to continuing with Shannon. We really enjoyed meeting Shannon. She was prepared and great with my son. We look forward to our next lesson. Shannon has been by personal trainer and running & cycling coach for many years now. She has trained me to achieve many training and competition goals in weight lifting, running, and duathlon (run/bike). I have been able to lose weight and develop more lean muscle. She has taught me how to eat better to achieve my goals as well. I can't imagine my life without her guiding me toward my fitness goals. I have regained my quality of life thanks to Shannon! I highly recommend her as a trainer and coach. She will help you create a healthy lifestyle change to live a long and healthy life. Shannon is very personable and obviously loves what she does. She explains things in a very simple and easy to understand fashion. I was comfortable with her right away. I'm excited about playing my instrument! Shannon does a great job with the lessons, and I really like the way she approaches them. She has been willing to work around my schedule, and it is very helpful. I definitely recommend her as a teacher! 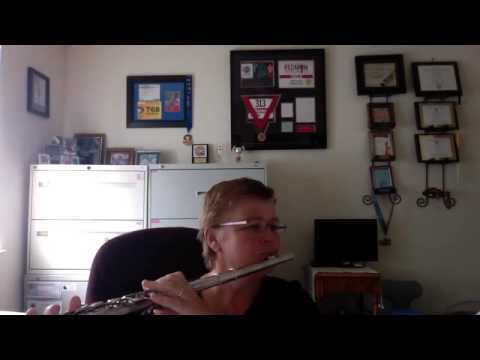 I have been taking flute lessons from Shannon for about six months now. I am an older beginning flute student. It has been great working with her. She places much importance on fundamentals, getting the embouchure right and developing a good tone. My progress is slow, but i feel that later i will not have to go back and unlearn things. She is also happy to let me include flute pieces i like in the lessons rather than doing only lesson books and the like. Shannon tailors her teaching approach and lessons to the student. I am an older student who had limited music knowledge. I have thoroughly enjoyed my experience that is fulfilling a deferred and delayed childhood experience! She is very passionate for every student to study music. She gave me more knowledge! I recommend her to everyone that wants to learn about music! I have been taking seasons from Shannon for a month and a half. I have some unique circumstances and she she to adapt very well. I am having fun learning with Shannon. 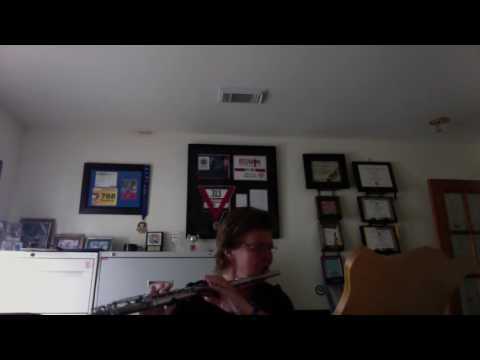 My daughter has been taking flute lessons from Shannon for 2-3 years. She really enjoys her time with Shannon and has learned so much! Shannon does a wonderful job of creating chamber music groups with recitals, in which my daughter was able to take part - definitely nothing that would have been offered in her school at this level! We are very lucky to have found Shannon! I am taking clarinet classes with Mrs. Shannon, I appreciate her professionalism, knowledge sharing and dedication during class. She will find the way for the student to understand the concepts and help you progress with your instrument learning. I definitely recommend Shannon as a music teacher for all levels. My daughter has been taking flute lessons with Mrs. Shannon and she loves her. She enjoys taking them so much that we have included piano lessons. I recommend Mrs. Shannon to anyone who needs music lessons.